I am fawning over the LORAC Party Palette ( Ulta Exclusive / $24) because it is just so darn fabulous!! It include Color and Sparkle - all I need in this world. Especially the fact that is has been released around this festive time of year just further puts me into the happy mood ( my birthday is later on this month so its PARTY TIME). There is so many possibilities with this palette and I especially appreciate the two highlighter shades being larger in size - LORAC knows us girls love a highlight! I have a hard time finding the right shade in a lot of my favorite brands. Something about my undertones there's times when the darkest shade is either too light or its too dark then the shade before it is too light. I can easily just use multiple products to find the "perfect custom shade" - which I have done before and I'm not opposed to ; but its NICE when you find that "perfect match". I have found the perfect match with a few brands , but the brand I want to review today is Lancome. The Tient Idole Ultra 24H in 500 Suede W is one word - AMAZING. 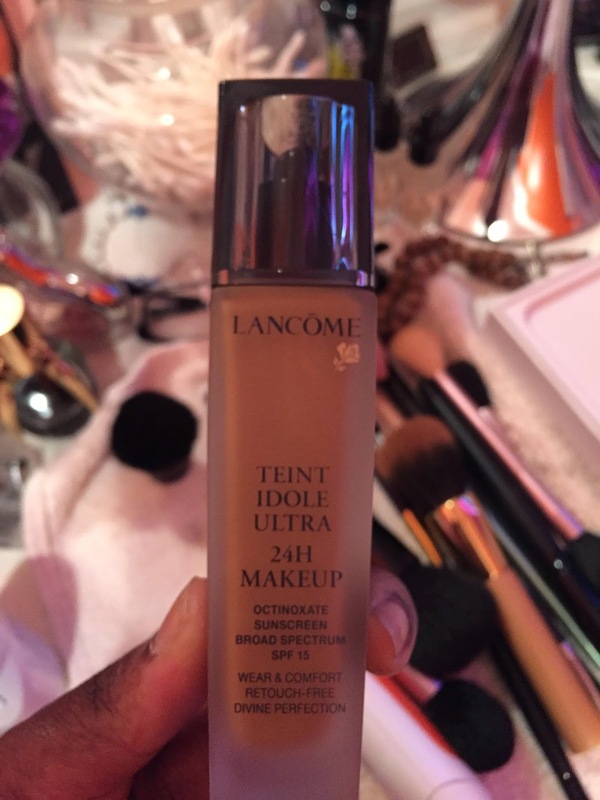 This foundation gives me a radiant Luminous glow and finish. Below you will see a look I created last weekend with the LORAC Party Palette x 3D Liquid Lustre in 24K . I am also wearing the fabulous Tient Idole Ultra 24H in 500 Suede W ( Hint**** a darker foundation shade can be used to contour- for example I would use 550 Suede C to contour - I had a small sample from Sephora and used it to contour it works very well). This is a iphone 6 picture ( with no retouching or filters) , so imagine how great this looks in person or if taken with a Real Camera.